Rudy Gutters welcomes the opportunity to visit with potential customers in Austell, Georgia, we have replaced the gutters on many homes in Austell's zip code 30106, and we have done a lot of wood work on homes as well consisting of the replacement of soffit and fascia in Austell's zip code 30168. Here at Rudy Gutters we are always proud to provide a list of references upon request, we have many happy customers just off of Austell Rd that is always very happy to give us a good reference on the quality of our work. In addition Rudy Gutters has done quite a lot of work around the East West Connector right there in Austell and we have replaced gutters, downspouts, soffit and fascia for satisfied homeowners on Powder Springs rd as well. Call Rudy today to schedule a free estimate, when you deal with Rudy Gutters you deal with the man who owns the business, so not only are you guaranteed the very best free quote the first time around, his presence on the job insures the very best in quality, oh, by the way gutter replacement can get a little bit messy, but, don't worry Rudy Gutters will clean up whatever mess that we make! 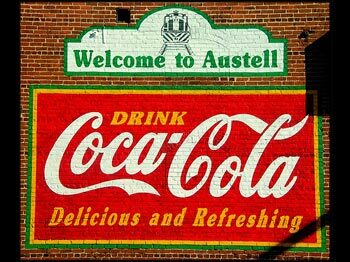 We look forward to seeing you folks very soon in Austell, Georgia, just for your reference we are coming to zip codes 30106 and 30168. You can schedule a free no cost, no obligation quote by calling Rudy at 678-499-3921 or if you prefer use the easy contact form on the website and Rudy will call you and work out a time that is convenient for your free estimate on new gutters and downspouts for your home in Austell, Georgia.